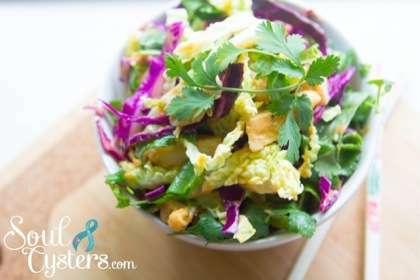 This simple salad is bright, naturally sweet, and full of flavor. It’s surprisingly easy to make, a perfect combination of sweet and vinegary, and pairs nicely with barbecue, grilled chicken, and light summery meals. 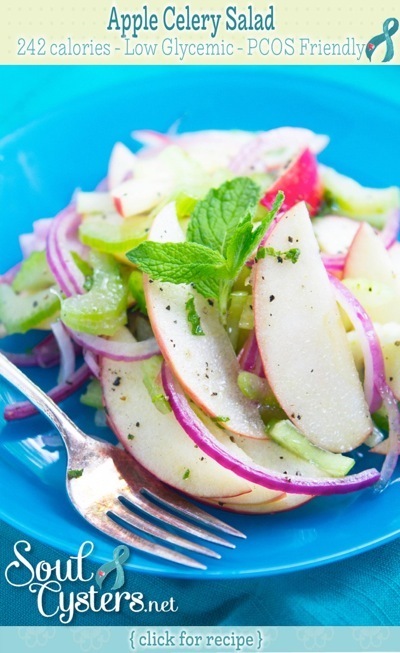 In a medium bowl, toss together sliced apples, onion slices, and celery. In a small bowl, whisk together olive oil, vinegar, stevia, and mint leaves. Drizzle over apple mixture, tossing to coat with the vinaigrette. Salt and pepper to taste. Serve immediately and enjoy!